So I was told about this place by Nichols Hills called Bacon, where literally everything has bacon! I instantly knew what our date would be this month! 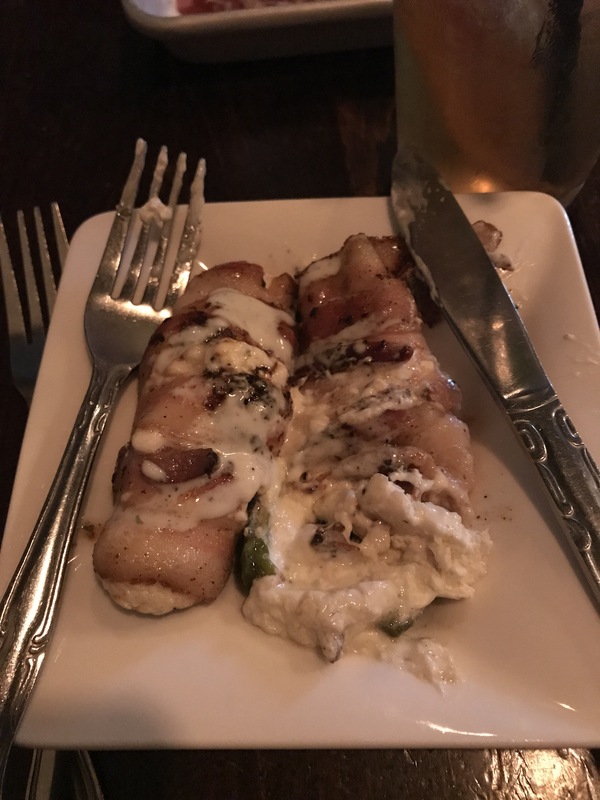 We both LOVE bacon, and we were not disappointed! Let me take you through our courses so you can truly appreciate our dining experience! 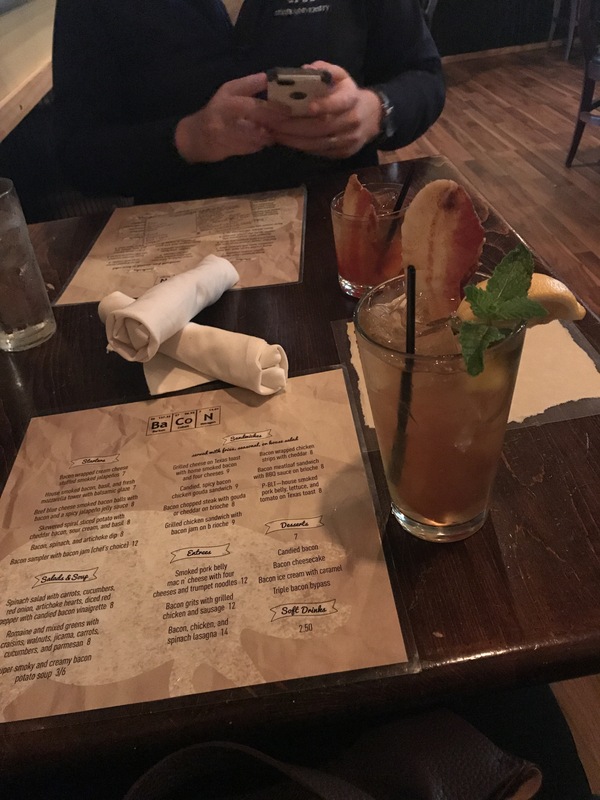 Even the cocktails were bacon based! Ben had a bacon old fashioned while I went with the bacon whiskey smash! Both kept the integrity of the classic cocktails while adding a unique spin! Delicious! We got their version of jalapeño poppers! Yowza!!! They were so delicious!! The bacon, cream cheese, and jalapeños were great together! Ben got the special, an open faced sandwich with pork belly, grilled chicken, and pineapple salsa. I got the 4 cheese bacon grilled cheese!! 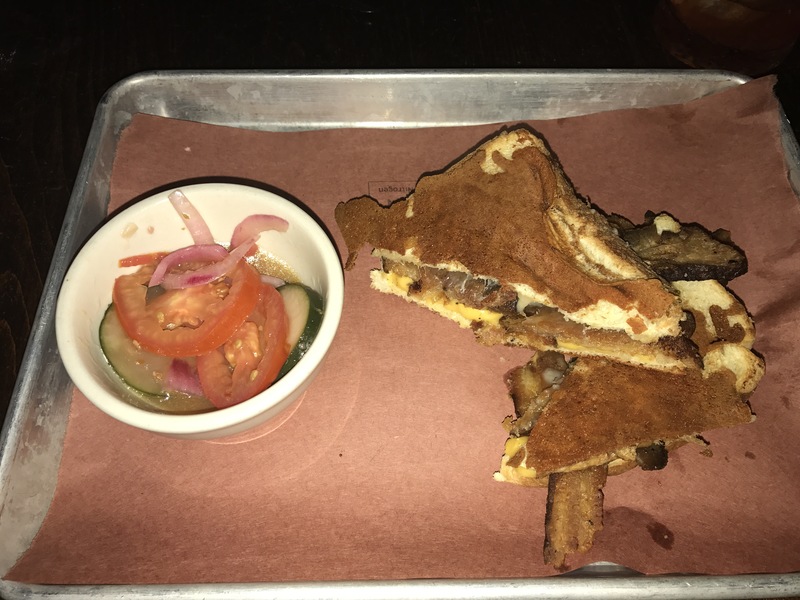 Both were great, though I was partial to that grilled cheese! It was the second best I have ever had, and a close second at that! My favorite part of every meal! This one did not disappoint! I had something called “triple bypass” and it was phenomenal!! It had a dense chocolate base, marshmallow fluff, caramel, and candied bacon!! Oh my lanta!!! Life-changing!! 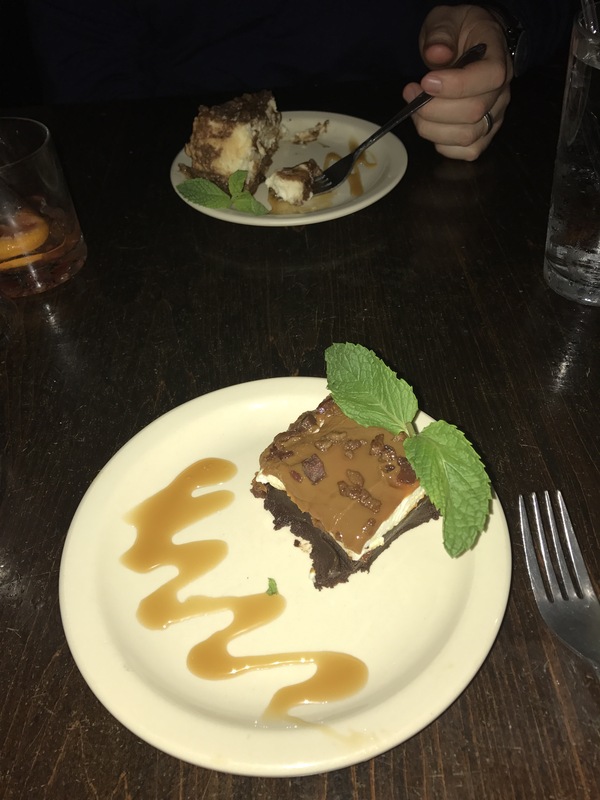 Ben had the bacon cheesecake, which was equally spectacular! It was a perfect end to an incredible meal! Now we are back at home watching Mad Men! September monthaversary will be hard to beat!! Do y’all have any amazing recommendations in the metro? Also, what do y’all do to celebrate your relationships? Let me know! Until next time!